The PLAYlist is an accomplished supergroup collective with incredible playing skills and a desire to promote authenticity and emotion in their music. The band is made up of Daniel Crawford on keys, Kaidi Tatham on keys, flute and percussion, Steve McKie on drums with Strong Elliot and Dwayne Moore. The mastermind behind the group is legendary music producer and DJ Jazzy Jeff. 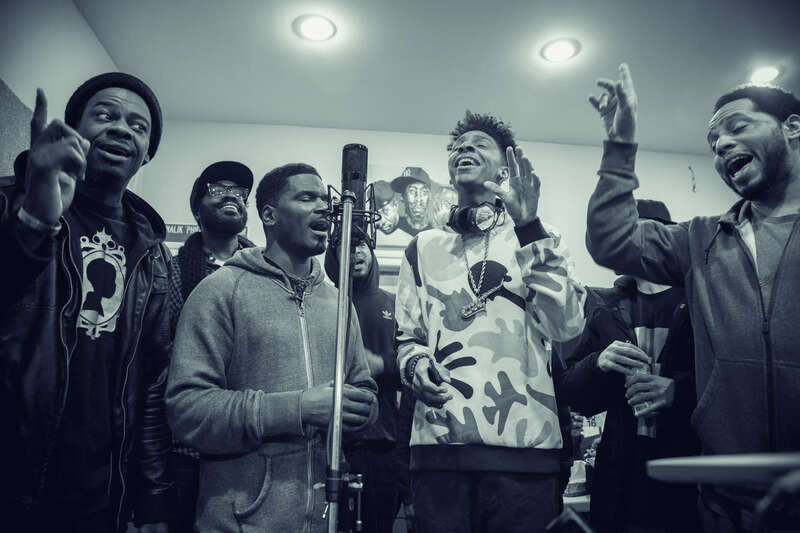 The acclaimed hip hop and r&b star pulled together this collection of the most revered singers, musicians and songwriters to work together in his home studio for seven straight days. The unique concept meant the group wrote, recorded and finalised all the music that made up their debut album, Goosebumps, in one intense week, and each one was given complete control of their own input with only one caveat: that they must make the listeners get goosebumps. The resulting album is spectacular indeed and really does nail the brief. It finds all the virtuoso players layering up their skills into something hugely compelling. Touching on hip hop, funk, soul, jazz, samba and pop, the album is a free flowing fusion that has serious lyrical content musing on love, music, social issues and relationships. Glenn Lewis is the vocal lynchpin at the centre of the album and his great delivery varies from impassioned to angry, frustrated to inspired. Having already turned out one of the albums of the year, live shows from this group are sure to be special indeed.